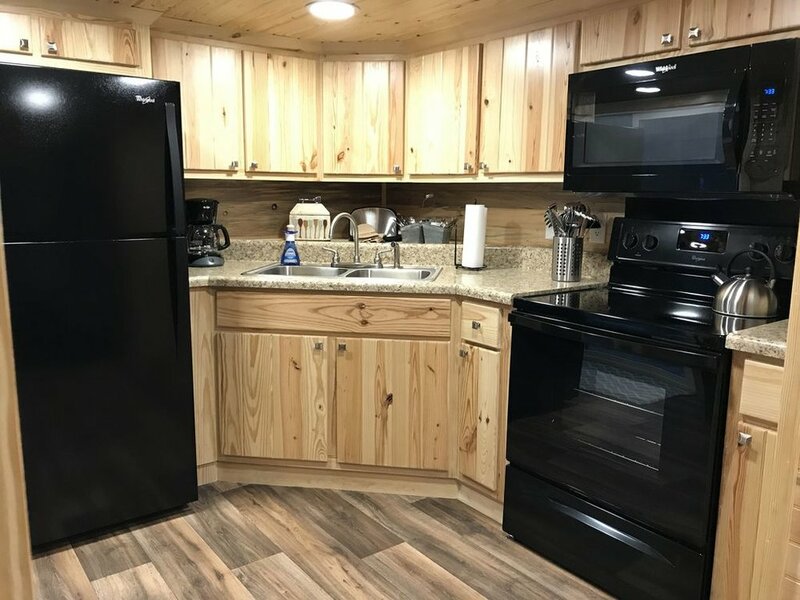 Tiny Town welcomes two new luxury cabins to the family! Starry Respite is three bedroom, 3 full/2 half bath and Deck-A-Saurus is six bedroom and 4 full & 2 half bath. Both are an oasis in the heart of Hochatown, just a 5 minute drive from the Tiny Town site. Scroll down for more information and photos. 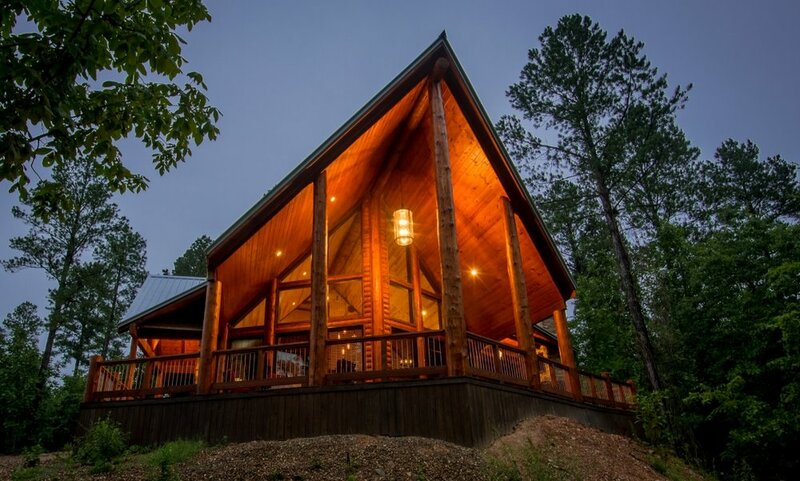 These luxury cabin options are situated about 5 minutes from the Tiny Town Park site, still in the heart of Hochatown/Broken Bow, Ok area. 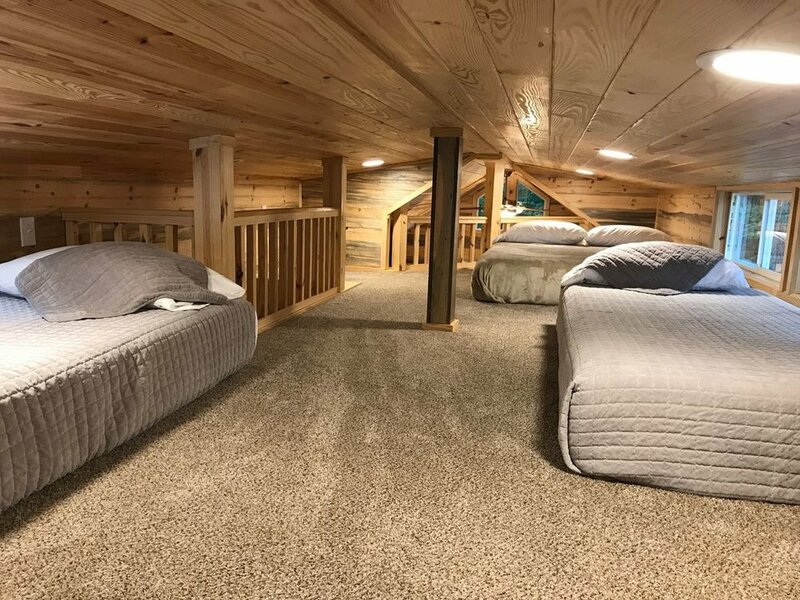 View cabin locations on our reservations page. All Tiny Town OK Tiny House rentals are located just north of Broken Bow, Oklahoma in Hochatown, just outside of the Beavers Bend State Park entrance. 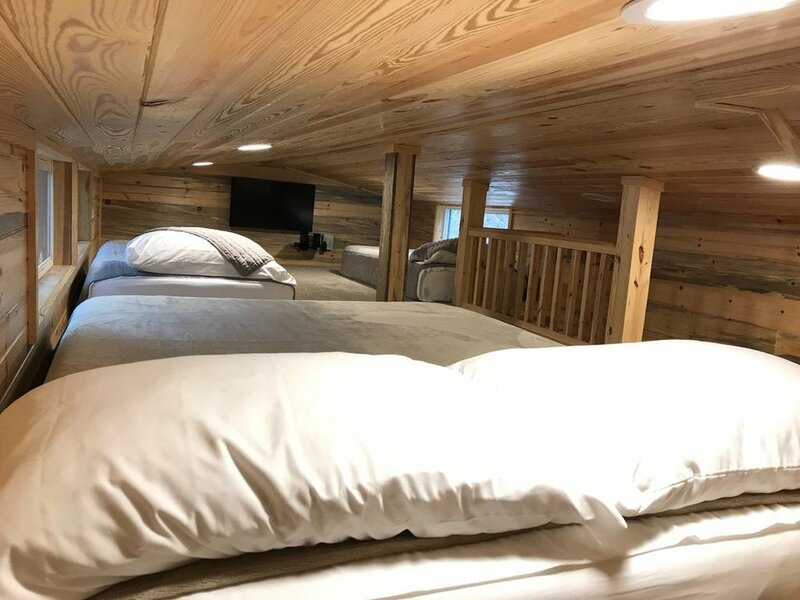 They come equipped with dinnerware, linens, paper items, private BBQ pit, picnic table, rocking chairs outdoor table and a fire pit. The units include two TV’s and Blu-ray players and WiFi signal. Looking for a tiny house with a little more space? 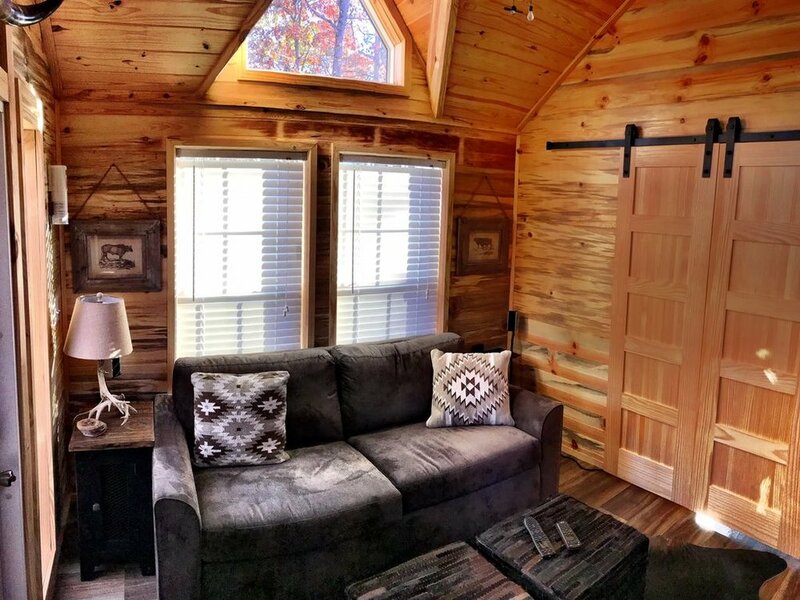 These upscale tiny houses located at Tiny Town Ok Cabin Rental and RV Park sleep up to 8. You can view information and book them here: Tin Star or Cow Belle.